The James Leo Harty House is a simple, wooden, low pitch gable structure that was constructed between 1904 and 1908 by James Leo Harty, and is a good representative example of a fisherman's house for the area. The house follows a Georgian floor plan, with a central staircase, kitchen and parlour on the main floor, and four bedrooms on the upper floor. The house is a good representative example of a fisherman's biscuit box style dwelling in the area. The building is linked to the founding family of the community. William Harty was an original settler of Broad Cove (renamed Duntara in 1951) in the late 1700s or early 1800s. Oral tradition has it that William, who was working aboard a ship in King's Cove, left the ship and walked to Broad Cove, where he decided to stay and settle. He was the great-grandfather of James Leo Harty. Outbuildings on the property were designed for practical use, employing rough materials, simple design elements and utilitarian construction techniques. The Harty property is a rare example of an outport home with the majority of the outbuildings still remaining. The building occupies its original location, with its associated outbuildings used for carriage shed, stable, pig barn, cellar and outhouse. Only minor changes have been made to its fabric over the years. It is a conspicuous structure in a section of the community where all of the other old houses have fallen down or been removed. The James Leo Harty House and Outbuildings were designated Registered Heritage Structures by the Heritage Foundation of Newfoundland and Labrador on December 2nd, 2000. 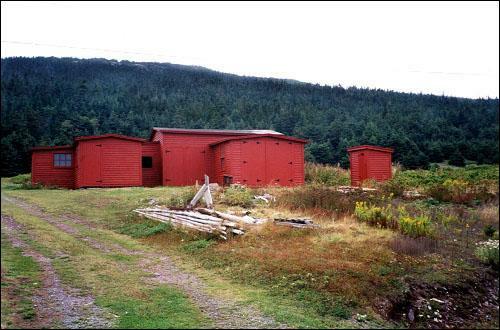 Also view the James Leo Harty House and Outbuildings Registered Heritage Structure on the Heritage Foundation of Newfoundland and Labrador web site. 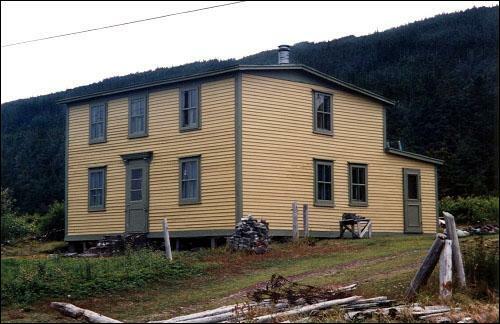 The Newfoundland and Labrador Heritage Web Site has on its site only a portion of the registered heritage structures in Newfoundland and Labrador. To view a complete list or search for a particular structure visit the Heritage Foundation's Property Search page.